Are you looking for an adventure? If so, you should perhaps consider extreme sports holidays. Listed below are a few suggestions that won’t leave you disappointed. In addition, you don’t even have to leave Britain. White water rafting on the River Tay. The fastest river in the UK offers an absolute thrill. You can take a trip to Scotland to experience the power of the River Tay all year round, regardless of your level of experience. 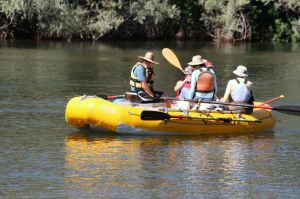 A must is of course an experienced guide and proper equipment which should include a wetsuit, helmet, paddles and life-jacket. The mentioned pieces of equipment are typically provided by the organiser. Sand yachting in Wales. Sand yachts can reach speed up to 70 mph if the conditions are right. So if you are seeking for some exciting sports involving speed, sand yachting most certainly won’t let you down. Keep in mind, however, that it can be dangerous. Also, be sure to avoid public beaches where there is lots of people because injuries from an eventual collision can be fatal. Ice-climbing in Scotland. Are rocky mountains no longer providing you with as much thrill and excitement as they used to? If so, it is perhaps time to move to ice-climbing. 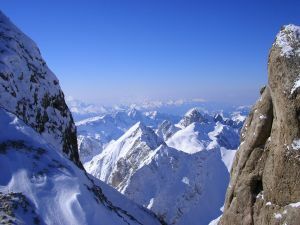 It is the most extreme form of climbing and requires a unique set of knowledge and skills. You are therefore recommended to take a beginner’s course before you head to the Scottish mountains and always hire a professional guide or go ice-climbing with an experienced ice-climber until you become experienced yourself. Canyoning in Brecon Beacons. Canyoning is a sport that requires the use of a variety of skills and techniques including climbing, jumping, abseiling, scrambling and swimming. There are many places in Britain where you can test the mentioned skills and have an unforgettable time. According to many, Brecon Beacons is one of the top country’s canyoning destinations. It is a good idea to hire an experienced guide not only to make sure that everyone is safe but also to lead you to the best canyons in the mountain range. 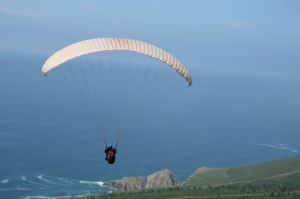 Paragliding over East Sussex. If you are not afraid of heights, then paragliding over East Sussex is an excellent idea to raise your adrenalin and enjoy a spectacular view of the landscape. Paragliding requires prior training because it isn’t as easy as it may seem, not to mention that it can be very dangerous. Fortunately, there are many paragliding schools in the area which will teach you everything you need to know about how to enjoy up in the air as well as safely touch the ground.